This series, titled "Thiruttalangalukku Thirumuraiyodu", is about the temples that I have visited in and around Thiruchirappalli to recite Thirumurai with my Thevaram team members. My inner wing of Thevaram team consists of myself, my two elderly friends and our Othuvar Thiru. Sundaravadivel Ayya. ‘Thirumurai’ known as ‘Tamil Vedas’ are hymns believed to have been listened by none other than Lord Siva Himself [[‘சிவபெருமான் செவிமடுத்த செந்தமிழ் வேதம்’]. Now-a-days Thevaram and Thiruvasagam are recited only in very few temples, even some of the temples that has the credit of ‘padalpetrathalam’ remain unheard with these great hymns. On our part we made a small effort, decided that every month we have to visit a Siva temple in Thiruchirappalli with our Othuvar and recite Thirumurai there. Our plan was first to visit temples in and around Thiruchirappalli and later can also make it outside Thiruchirappalli. But, in execution we met with lot of hampers, in that ‘time’ the biggest obstacle. It only remind me the verses of Manikkavasakar Swamigal ‘அவனருளாலே அவன் தாள் வணங்கி.......’. I astonish whenever I recite these verses.. Even to pray Him we need His blessings! The words of the great saint are true! ‘அவனருளாலே அவன் தாள் வணங்கி அவன் பண்பாட’, we are blessed only sometimes. Though we are unable to make it every month as per our words, we made it sometimes. Selection of the temple is my job; I made it a point to visit age old temples and there is no restriction of being a ‘sung temple’ in our criteria. Our efforts, though not as per our words, somewhat we were able to visit few of the places in and around Thiruchirappalli viz., Thirunedungalam, Thirupachilachiramam, Thudaiyur, Mookicharam, Thiruppatrurai, Mandurai, Thayumanavar, Jiyapuram, Thiruparaithurai, Anbilalthurai, Karkudi, Nandrudaiyankoil. Mookicharam is our instant spot, whenever we felt we will be there. Purpose of our trips is to sing Thirumurai but I also make use of it to have a glimpse of the temple and share the knowledge of architecture that I know with my team. Even small information flabbergasts my team mates and was curious to know more. They call me as leading force in this mission but actually it’s their spirit that leads us. I have been blessed a lot to have such elderly friends in my life, I thank them for sponsoring trips and classes which enhance my knowledge in Thirumurai and temples. In these articles I share my knowledge of architecture, history of the temples that I have visited. In 2013, We made our first trip to Thirunedungalam. Thirunedungalam is in the suburbs of Thiruchirappalli about 20kms from the city and around 4kms from Thuvakkudi. 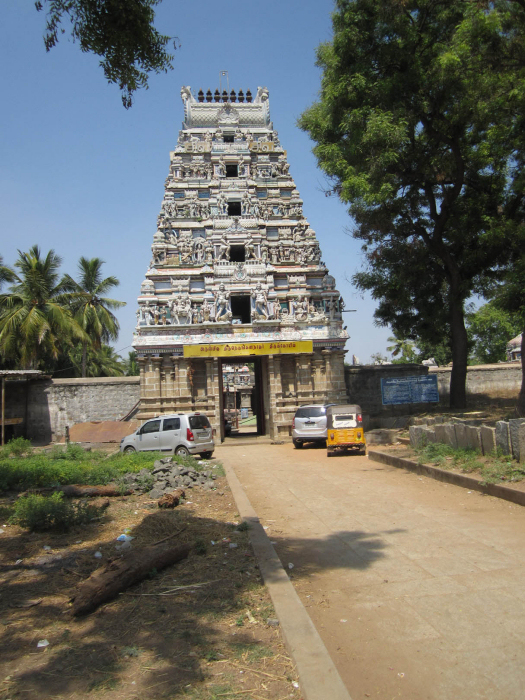 Both the temple and the village are known in the name of the deity Thirunedungalanathar. The Lord of the temple is also known as Nithya Sundareswarar and the Goddess, Oppila Nayaki or Mangalambigai. The temple was glorified by Thirugnanasambandar Swamigal by his hymn ‘மறையுடையாய் தோலுடையாய்’. Arunagirinathar sung Lord Muruga of this temple ‘அன்பர் குலவுந் திருநெடுங்கள வளம்பதியில் அண்டரயனும் பரவும் தம்பிரானே’. 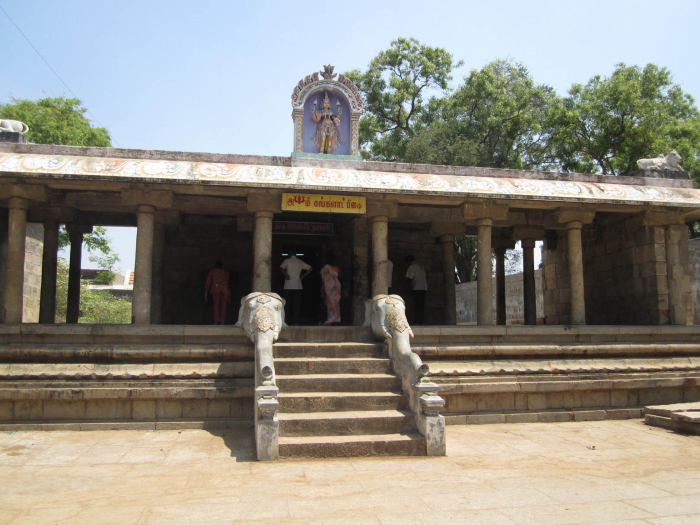 Saint Vallalar praised this place as ‘தண்ணீர் நெடுங்களமெய் தாரகமே’. It was heartwarming to see a sign board in the entrance of the temple about the organization in the name of the deity, ‘Thirunedungalanathar Thiruvasaga Sabai’ which conducts monthly programs of reciting Thevaram, Panniru Thirumurai, rhetoric on spirituality, pilgrim to the temples sung by the great saints. Besides, Thirupugazh is also recited regularly. 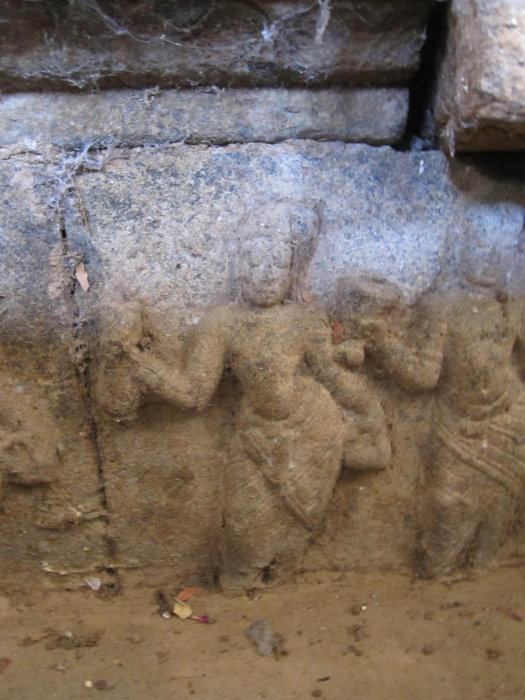 It is one among the very few temples in Thiruchirappalli which carry out these activities. Wow! What an adoration they had on Him? How such affection? Incredible! really tough to understand it by present-day materialistic, self-centered mind. I love every song that we sing, some I like because of the ‘pan’ (பண்), some because of the words, for my friends singing Thirumurai is soul filling and energy booster. It is always heavenly to hear the rendition of our Othuvar. ‘மறையுடையாய் தோலுடையாய்’’ pathigam is popularly known as ‘இடர்களையும் பதியம்’ பண் - பழந்தக்கராகம். In this pathigam the saint pleaded the God to remove the hurdles of the devotees who possess high virtues even though they commit fault, the devotees who worship day and night singing and dancing about Him, the devotees who carry flower and water for His pujas, the devotees who worship His feet, the devotees who surrender to His feet, the devotees who sing and dance in ecstasy about Him, the devotees who believe and wear the ash, the devotees who all time speak and praise His sacred sports, the devotees who surrender to Him through reciting Vedas and hymns. The saint describes the beauty of the God as He who wears the skin as attire, white tusk of the boar, crescent moon in his long hair. And he also states that the Lord possess the daughter of Mountain king on his side, Ganges on his locks, carrying the skull bowl and wander for arms, possess the bull ensign and the Vedas. The saint also extols the various sacred sports of the Lord viz., He who compress the poison emerged from the ocean into a small grain to hold in the gullet, He who kicked off the God of Death to protect Markandeya, He who annihilated the Asuras by the arrow formed combining the forces of Agni, Vayu and Thirumal, He who controlled the Ravana the king of Lanka while he try to lift the mountain, He who emerged as flame when Thirumal and Brahma were trying to find his both ends. While referring the Jains and the Buddhist the saint calls the former as the one who speak only harsh words and the latter as the destitute. One of the sacred sport of Thirumal is also referred ‘He who broke the tusk of the elephant of Kamsa’. The Vedas is referred as Marai, Vaimozhi (மறை, வாய்மொழி). The temple complex consists of two prakaras and each prakara has a gopura entrance facing east. 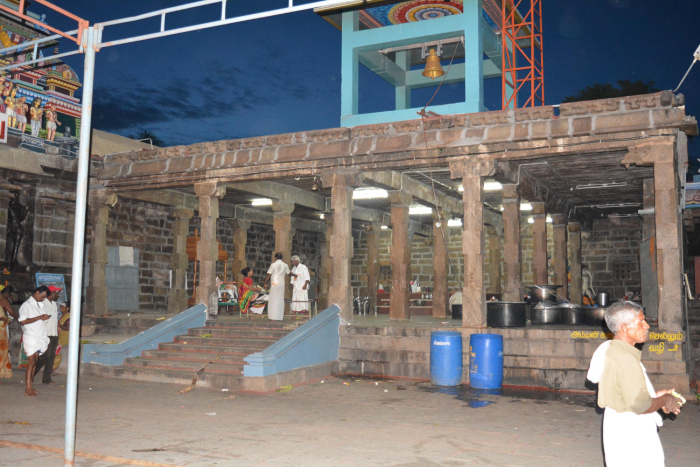 In front of the outer prakara is an open space enclosed by compound wall adjoining the walls of the outer prakara and in the entrance newly emerged shrines of Muruga and Ganesa are seen on either side. Besides, in front of the temple complex lies the temple tank known as Agasthiyar thirtam. The main gopura has five talas raised on a upapitha and crowned with sala shikara. The adhishthana above the upapitha is padabandha and above it the wall is sectioned by vishnukanta pilasters which carry upper ornamentation and from the prastara it is of modern origin. Further, the first tier of the gopura is sectioned as sala and karna paththis and in between them lies the panjara. 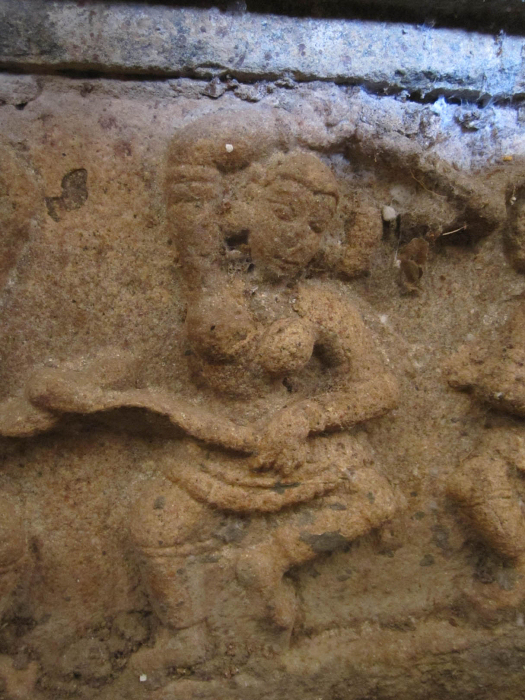 The upper talas are rich in stucco sculptures depicting various puranic scenes. Adjoining the gopura on both the sides the compound wall extends and encompasses the prakara. The main gopura leads to the outer prakara. 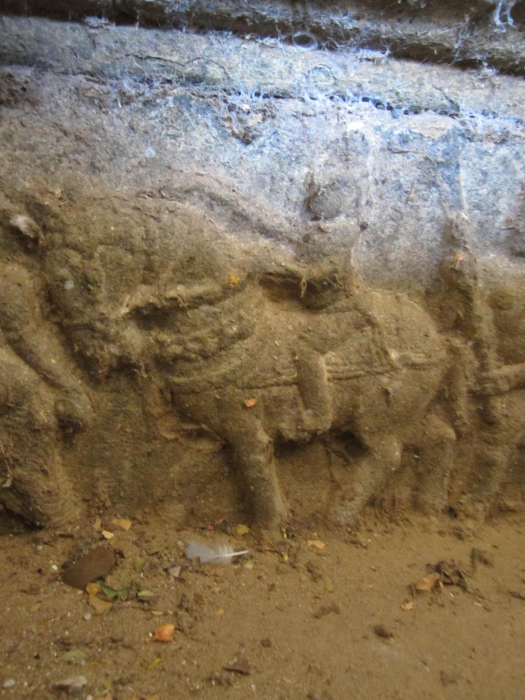 In the centre of the outer prakara is seen the balithala, dvajastamba, and Nandi oriented towards the central shrine. The shrine of the Goddess Oppilanayagi is on the northern side. A pillared mandapa called Thirukalyana mandapa lies to the west of the Goddess shrine. The southern side of the outer prakara is seen the temple garden which also extends on the west and the north. The Goddess shrine consists of an open pillared mandapa, mukha mandapa, ardhamandapa, and sanctum all facing south. A flight of steps arranged on the south leads to the pillared mandapa or the maha mandapa which is raised on a upapitha and above it is the padmabanda adhishthana. 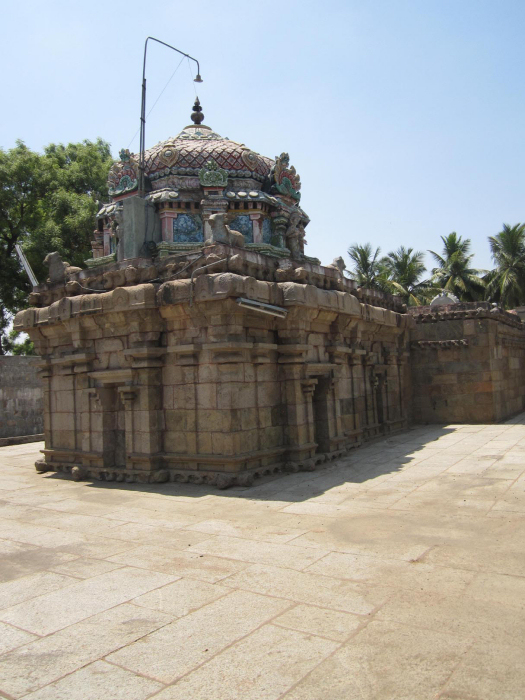 The pillars of the mandapa are rudra, the potikas are vettu and the roof is covered with stone slabs. The vimana is a single tier structure and the adhishthana might be pratibanda. Only the prativari is visible, the rest of the components may have inhumed under the later paved flooring. Above the vedika component raises the wall sectioned by brahmakanta pilasters with upper ornamentation of kattu, kalasam, tadi, kudam, pali, palakha and virakanta. 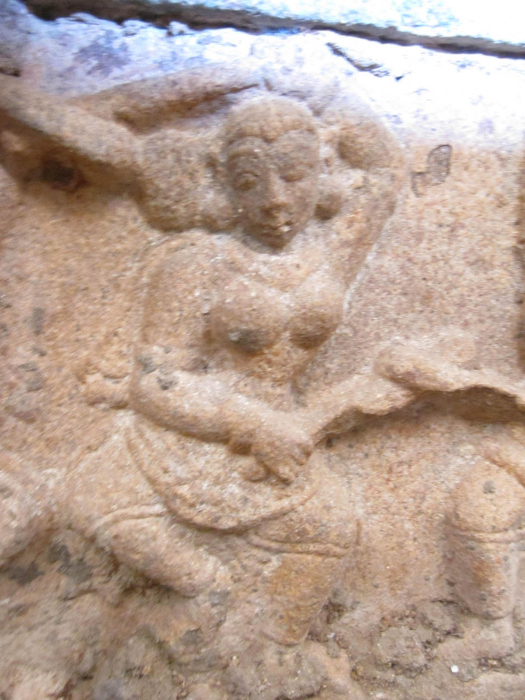 The potikas above the pilasters are vettu extending the hands to bear the uttira. Above the uttira is the vajana, valabhi and kapota with unfinished kudus. On all the three sides the sala paththi is slightly projected and also possess empty koshtas. The tala ends with the bhumidesa. 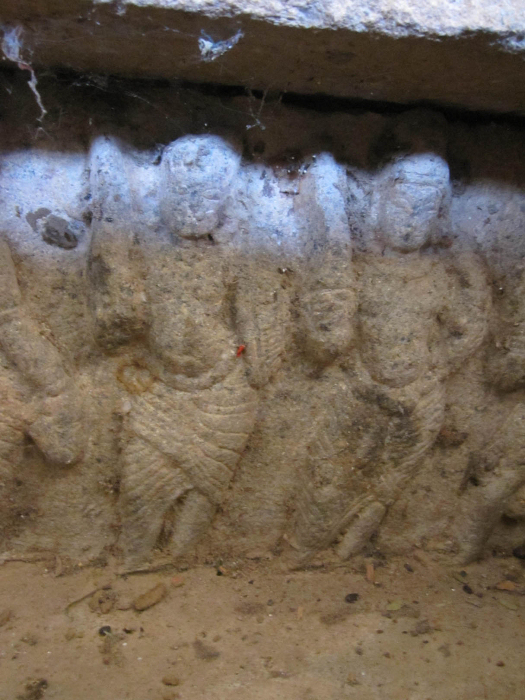 The same arrangement is also shown for the ardhamandapa, but the walls of the mukha mandapa are plain. The bhumidesa is also shown for the mandapas. Inside, the ardha mandapa is a small passage and the mukha mandapa is a pillared hall. The pillars of the mukha mandapa carry the features of squares at the ends and middle with kattu between the squares. Nagabandas are shown at the corners of the lower square. 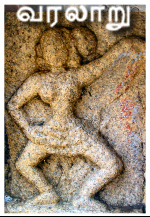 The dravida shikhara possess maha nasikas on all the sides and the koshtas carry goddess in standing posture. The sanctum houses the Goddess Oppilanayagi standing in sama on a pedestal with the front hands in abhaya and varadha and the back hands carrying the flowers. Her locks are arranged as jatamakuta and adorned with kundalas, neck ornament and silk attire. On the southern side of the mukha mandapa in the basement miniatures are seen, but at present concealed by the maha mandapa. A procession is depicted to the left of the entrance and stick dance (kolattam) on the right. In the procession a man is shown seated on a well decorated horse drawn by a man and followed few men who carry umbrella, whisk, plank etc. All the men are adorned with doti like wear extending upto the calf and also ornaments. The procession might be for a social event. The stick dance shows the freezing of the action where the dancers are seen actively coordinating with one another in the performance. Each one tap the stick of the adjacent former with one hand and that of the adjacent latter with other hand and accordingly lifting one of their leg up by resting the other on the floor. They are adorned with attire extending upto the ankle and also decked with ornaments. Their locks are gathered and knotted as ball either on the right or left of their head. The stick dance might be sequential to the procession. 1. The trip was on 26-04-2013. I thank Mrs. Saroja Thangavel, Mr. Thangavel, Mrs. Kalavathi Pandyan for organizing trips.